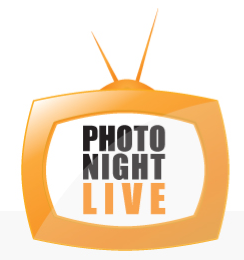 Recently I was interviewed by Ross Dean for PHOTO NIGHT LIVE, the UK’s first web TV Show for aspiring and professional photographers. The idea behind Ross’s show is to bring on one top pro photographer and one emerging photographer to discuss a chosen topic. I was asked to speak on the hot topic of Destination Wedding Photography. I thought I would go into this one a bit further as I feel it is important to explain how Destination Weddings work. As a photographer we need to have our expenses covered in order to make it a viable long term business proposition. This means that flights, hotels, transfers and a rate per day need to be covered so that it does not run at a loss. The usual wedding fees for coverage, discs & albums are then charged on top of expenses as per usual. As much as we love to travel we do need to make sure that our mortgage gets paid. If we are away for a few days in order to travel to a destination in plenty of time it means that we are away from home for a longer time than if we where to shoot a local wedding. In the space of three days in the height of summer wedding season, many photographers shoot 2 weddings over a weekend. If we are away for that time it means only shooting the one Destination Wedding and that is something we also need to weigh up and take into account. If you have any questions after watching the interview please leave them in the comments below and I will do my best to answer them. Great feature! Destination weddings are always fun and exciting.